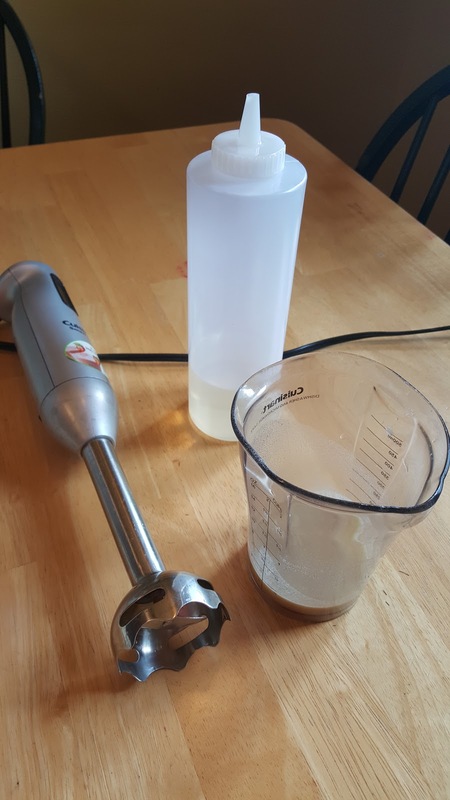 What are you left with when you take the AQUA out of AQUAFABA? Why, just FABA, of course. The chipotle one was definitely the first one I had to try. I typically grab Hampton Creek's chipotle flavored mayos when shopping, so I wanted to see how this one compared. My reaction was basically, "zOMGWoW." It has a nice little kick that Hampton Creek's didn't have, and it didn't feel as heavy. 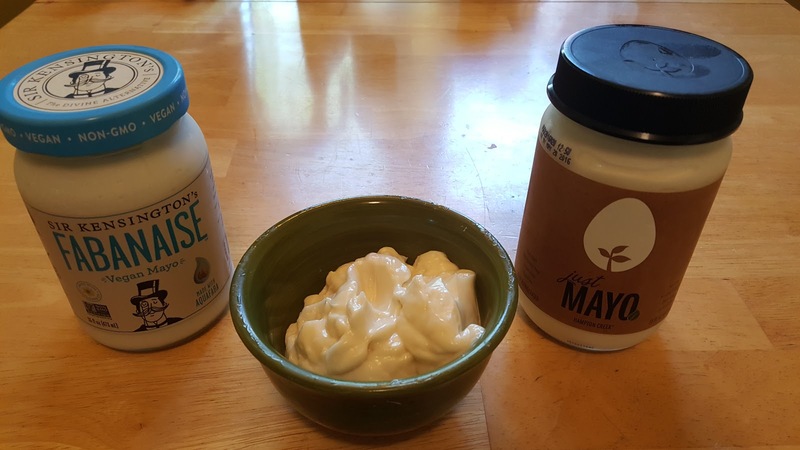 It was instantly my new favorite commercial flavored mayo, and not just because it's made with aquafaba! When I tasted the original one, though, I had a slightly different reaction. It was tangy and light. And, it puzzled me. There was something definitely different about it, and it reminded me of another mayonnaise, but I couldn't remember which one or where I had would have tried it. My faculties aren't what they used to be in my old age. I also live in a place with little variety when it comes to all the fancy-pants vegan stuff, though that's improving. I had to wait a full week before I could get down to Indianapolis and raid the stores of all their vegan mayos. I was not disappointed, but I was a bit overwhelmed when I got there. It seems like vegan mayos are popping up like dandelions. The shelf in whole foods had a dozen different kinds, each with their own variations. Canola, safflower, or olive oil? mustard or no mustard? lemon juice or vinegar? white vinegar or apple cider vinegar? sugar? starch? syrup? How is anyone supposed to choose? Is it really worth buying a whole jar of mayonnaise just to see if you like it? By the time someone got through trying all of them, one by one, years would go by and I doubt you'd remember what the first ones were really like. It doesn't help that some are on the shelves and some are in the refrigerated section, either. It was too much mayo. But I wanted to see if I could pin down that taste that FABANAISE reminded me of, so I grabbed a half a dozen of them and headed back to town. The taste test was pretty quick. It seems like there are basically two classes of vegan mayo. Well, unless you count earth balance. That was a whole class of it's own and not in a good way. 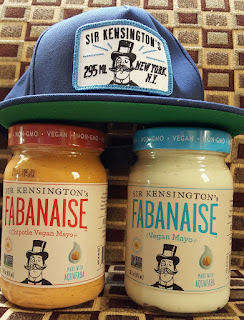 The best were definitely the Sir Kensington's FABANAISE, Hampton Creek's Just Mayo, and Follow Your Heart's Vegenaise. 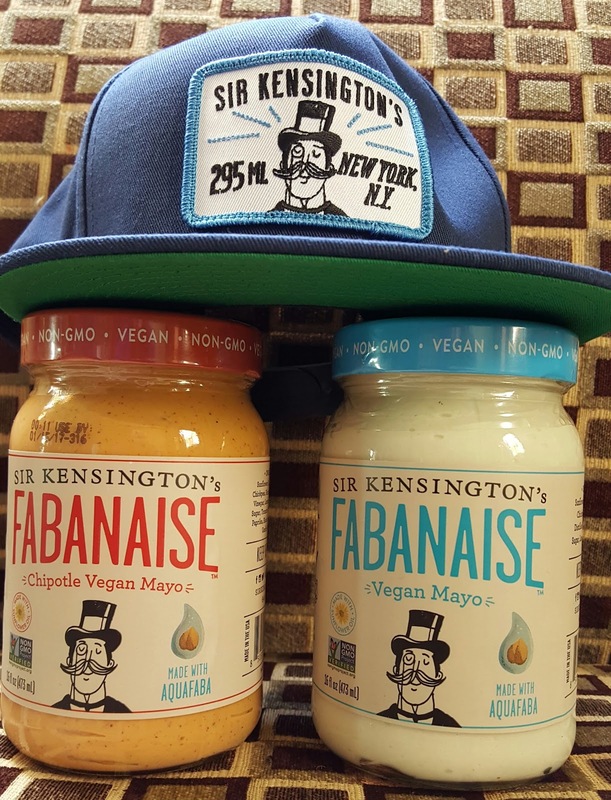 I never did figure out what mayo I was thinking of when I tasted SK's. Vegenaise is close. It's also tangy and light, but it tastes way too much like mustard to me, so I had to set it aside. And, interestingly, side by side with SK's, Just Mayo tastes very different than the way I thought it tasted in memory. Funny how you take for granted the things with which you're familiar until they're put to the test next to something new. 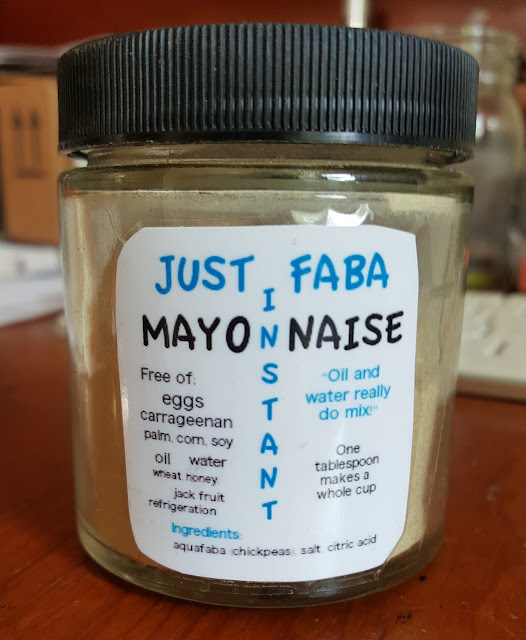 For a few days, I kept going back and forth between FABANAISE and justMAYO because I couldn't really decide which one I liked better. Just mayo has a hint of something almost industrial about it, but I like the thickness of it and the eggier taste. Fabanaise has a hint of an earthy petrichor and is definitely lighter. Out of curiosity, I made a batch of my mayonnaise from last April. Might as well make sure the recipe still works, right? 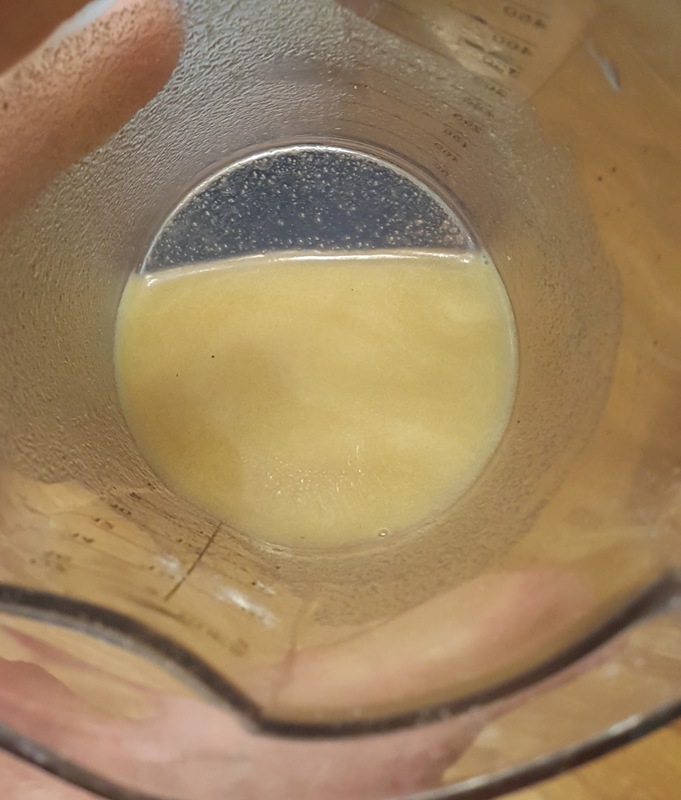 #lol This time, I simplified it to just the aquafaba, mustard powder, salt, sugar, lemon juice, vinegar, and oil. The first attempt was definitely a no-go. It turned out as a foamy, weak mayo fluff. This business of starting with a foam and adding oil until it emulsifies seemed like a complicated way to go about things. After a few trials, it seems that what you want is the opposite of what you would do to try to make meringues. 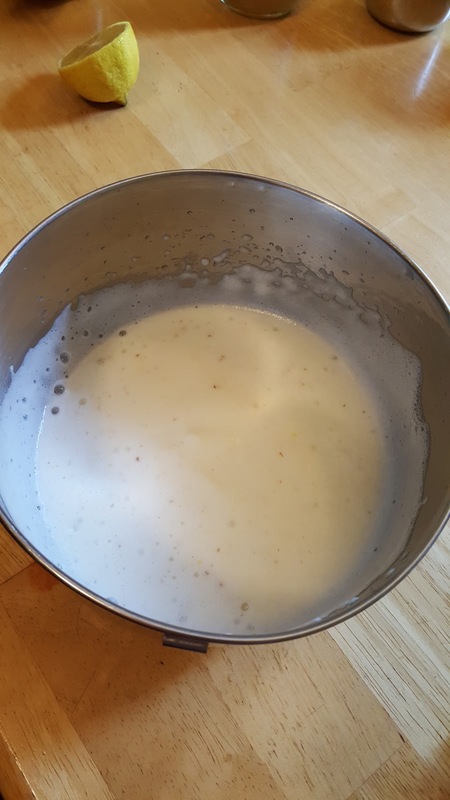 You want to beat it with a hand mixer so that you aren't whipping fast enough, or blend it in a blender so that you are blending too fast for foam formation. That way you can aerate the aquafaba and allow the oil to emulsify, but it prevents it from creating that fluffy foam that's so integral to making meringues. The other trick is apparently to MAKE SURE YOU POUR THE OIL SLOWLY. The more slowly the oil is added, the better. It should take a few minutes of drizzling oil in to give the emulsion a chance to set up. 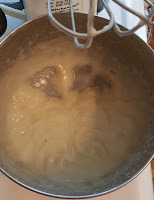 If you splash a bunch in, you can instantly turn your thick emulsion into a white milky soup, or prevent it from forming at all in the first place. So, after a few failures, I had a version of my own mayo to compare against the other two. But that only made things more complicated. All three are pretty good. There wasn't a whole lot of difference between my homemade mayo and the fabanaise, except I the flavor of lemon juice was way too strong in mine, and it had a slightly rancid taste. See, I had run out of oil during the first few failed attempts to make my own mayo and dashed off to the closest store which only had some generic safflower and canola. I had grabbed the safflower, and that was the odd taste coming through. The main difference, in seemed, between the three really was just the taste of the oil being used. I love sunflower oil, but it's a bit too earthy for some people. Canola has always seemed a bit too much like petroleum to me. It makes me think of a dirty engine for some reason. And that particular brand of safflower was just not a good oil at all. Ick. At that point I resigned myself to no real opinion either way about any of them. They're all based on different oils, so you can't really compare. It's just matter of personal preference, and I couldn't really narrow mine down any more. But, that gave me an idea! What if you took the oil out of the equation? Essentially, what if you had a dehydrated version of mayonnaise. With a simple powder, anyone could just add a splash of water and drizzle in their favorite oil, blend and have the mayo they prefer, based on the oil they prefer. Well, how is that any different from just making your own from scratch, you might ask. And I would concede it's not a huge difference, but not everyone has the different ingredients lying around, and there's something really simple about just grabbing a tablespoon of a mix from the spice shelf, blending it with a cup of oil, and having instant mayo that you can then flavor any way you like. For instance, add a splash of lemon juice for a tangier one, throw in some chipotle peppers for a kick, or anything else. Basically, the idea is a blank mayo slate. But it's one in powder form that would have an indefinite shelf life, would be super cheap, and easy to use. It sounded like a great idea, or at the very least, a fun experiment. I can never pass up a fun experiment in the kitchen, especially when the alternative is cleaning the house. And, of course, oil. The idea is simple: blend the dry ingredients to create a powder. Then add them to a blending cup along with some water, and blend while drizzling in the oil. 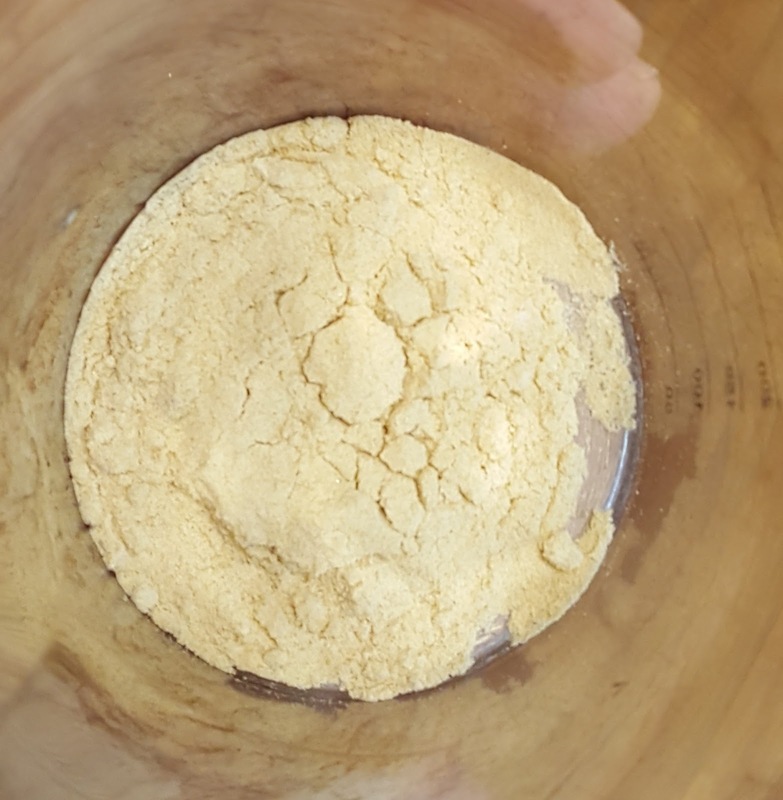 I had just recently made another batch of powdered aquafaba for an egg replacer I'm working on, and hadn't blended it yet. Here it is before it's blended. The sheets of dried aquafaba are from the dehydrator. I pulverize these broken shards and store them with desiccant packs to absorb moisture. I've had some on the shelf for a year that are still as good as the day I made them. After that, it was just a simple matter of grabbing the immersion blender and some oil, and giving it a go. I used half canola and half sunflower oil to see if I could get something half way between just mayo and fabanaise. The trick, again, is to drizzle your oil in SLOWLY--the slower the better. A steady drizzle or continuous dripping is better than a splash here and a splash there. 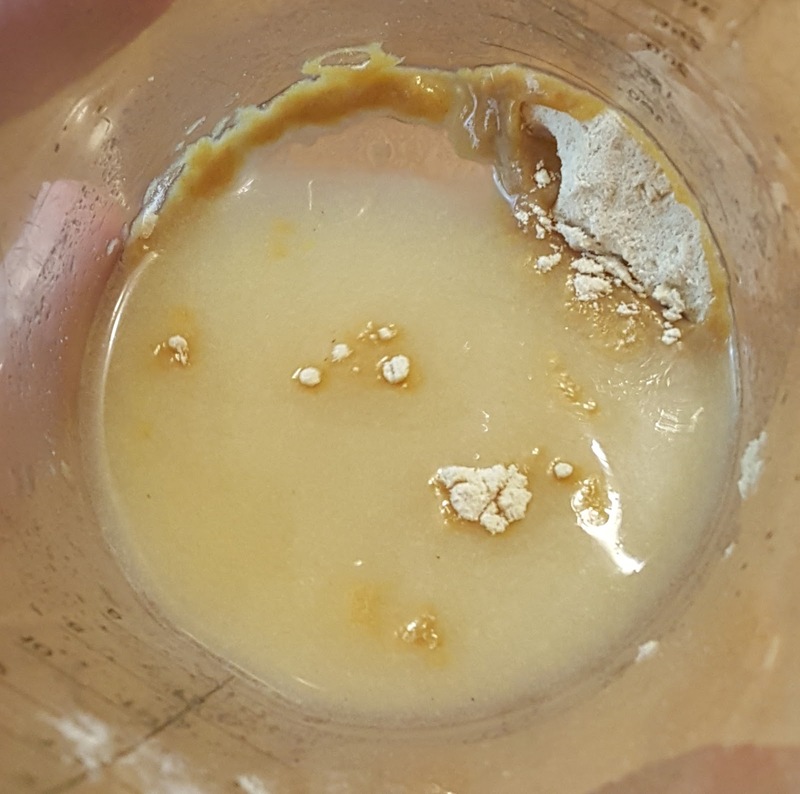 One tablespoon sized splash can break the emulsion instantly. Keep it smooth, keep it steady, and it'll just get thicker and thicker. Don't get impatient; don't give up before your oil's run dry. Using the measures I roughly calculated based on my recipe for 3/4 cup of oil, I noticed that everything firmed up when I had only half a cup of oil mixed, and it easily held another half cup more without a significant difference in the consistency. That means there's a lot of room for eyeballing. You don't need specific measurements. Making mayo could be just as easy as a splash of powder, a splash of water, and drizzle whatever container of oil you have until it makes mayo. Eventually, however, I settled on a very simple mix of just faba (no aqua), salt, and citric acid. I found that using black salt gave it a very slight hint of egginess, but not too much. 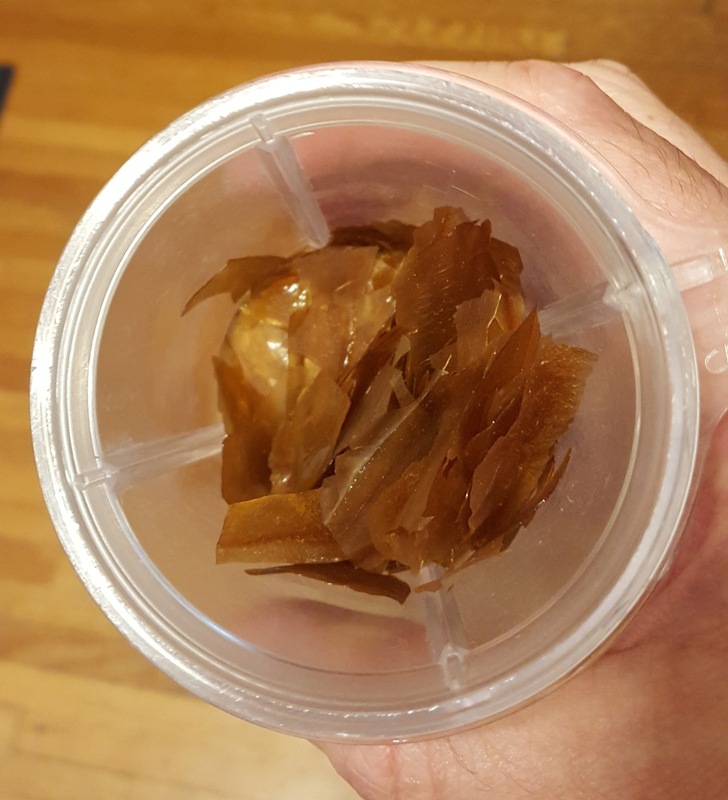 I tried a few batches with other acids, too, and found that citric acid provided the perfect balance of flavor I suspect people are aiming for when they use apple cider vinegar or lemon juice with or without white vinegar. It's a clean tanginess. It also acts as a stabilizer, and will more than likely make the stuff last forever on the shelf. The other ingredient I found completely unnecessary was the mustard powder. I couldn't tell a difference between one with and without, and it's completely unnecessary as an emulsifier because that's what the aquafaba does. It doesn't hurt if you add it, I just didn't see any use for it. If you're going for something like Vegenaise, then maybe you want it. I did find, too, that you can decrease the amount of aquafaba... sorry, just faba, down significantly if you have a good powder. 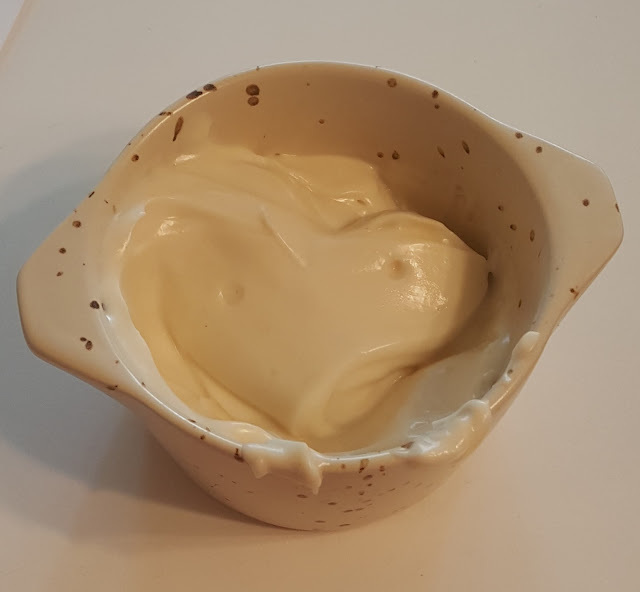 I talk a bit about how to make aquafaba powder in the facebook group. Essentially, there are a few things you can do to get a lot more mileage out of a given amount of aquafaba. If you have one gallon of aquafaba with a given power of emulsification or foaming, with a few tweaks, you can easily double that, and get the same properties with half as much. When you make a powder from that, it's so much better than a powder made from any old run of the mill aquafaba. But enough about all that. I now have a fridge full of mayo. Disclaimer: JUST FABA is not in any way associated, approved, or endorsed by Hampton Creek or Sir Kensington's. Its name may be entirely fictitious, but it's contents are awesome. Any and all similarity to Just Mayo or Fabanaise is purely coincidental! Enjoy at your own peril! May be addictive. Wow!!! You've done it again :) Thanks for sharing-your directions and photos are outstanding-can't wait to give it a go! Please copyright all this before somebody else markets it! The spirit of cooperation and sharing is great but not everybody cares for it and you give away too much information! Somebody is going to run with it! You do the research and they make the money! Can one make whipped meringue with the powdered aquafaba? Where do you buy the powdered aquafaba?